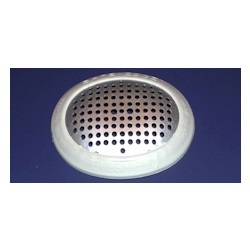 Aluminum non-sterile pinhole shield, universal size with standard shell. Shield has a white thermoplastic guarded edge that is latex-free. No padded lining. Sold 50 per box.